But those who jump into the stock market unprepared in terms of knowledge about the underlying equity & derivative products, more often than not, loose their money. Apart from having a thorough understanding of the markets, people must get their individual horoscopes analyzed to know what the celestial bodies have in store for them as far as gain from speculation or investment in the equity market is concerned. Before parking your personal money in the market, you must get a Personalized Financial Report from an experienced astrologer. It contains a comprehensive analysis of the financial aspect of your horoscope. It looks at the strength of Planets & Star Lords that promote gain in speculation. It reveals the favourable time periods when gain from the Stock market is signified. 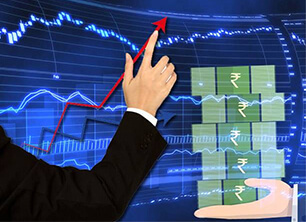 It contains remedial measures to be adopted to ensure maximum success in the market. You get to know clearly, whether trading or investment in the stock market is conducive for you or not. It takes into special consideration the strength of Jupiter & Mercury which are responsible for financial & business gains. Prior knowledge of the period that is strong for financial gains lets you take informed decisions. It contains incredibly powerful remedies to nullify the ill effects of malefics that obstruct prosperity. It enhances your chances of success in the market to a great extent.